What’s a Vinothek and where to find them? The largest one is the RheinWeinWelt in Rüdesheim, where you can find a selection of wines from 150 wine makers from Rheingau, Mittelrhein and Rheinhessen. It’s a unique experience: you buy tokens and then wander through various rooms where all the winerys are presented. 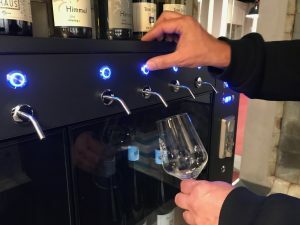 You will find their wines in a special cooling cabinet where you put your tokens in and select the wine you want to taste. 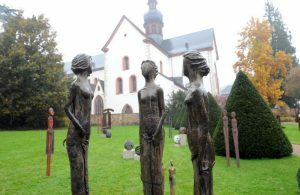 The Vinothek of Kloster Eberbach also offers a wide range of wines, most from the Rheingau region. It’s always nice to combine your visit here with a walk through the gardens, a tour through the monastry, a wine tasting followed by lunch or dinner in the Klosterschänke. 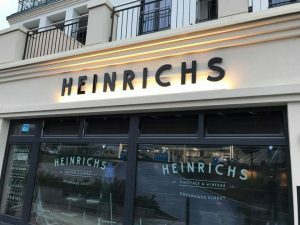 If you like to try a few different wines while having a snack go see Heinrichs in Eltville. It’s a gorgeous boutique wine shop where you can have lunch and dinner as well as coffee and cake. And even f the focus is most definetly on wine, you can also have a beer or gin at this beautiful place. 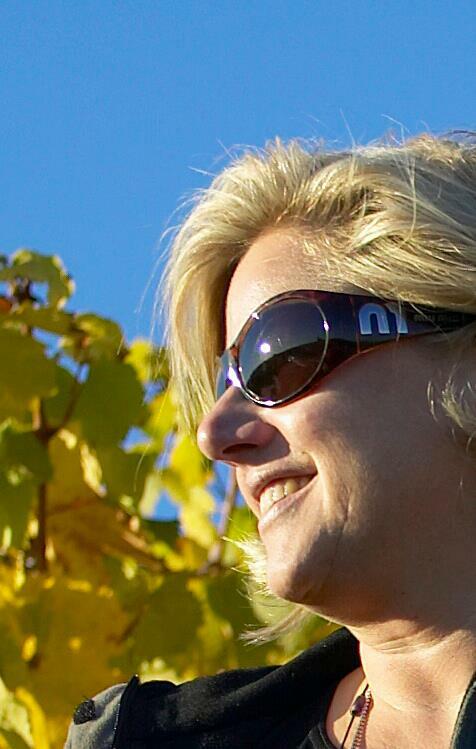 In Kiedrich you will find the Keller & Kunst Kontor with a selection of wines from all over the Rheingau area. The little vinothek is situated close by a number of restaurants and therefore ideal for a pre-dinner wine tasting. 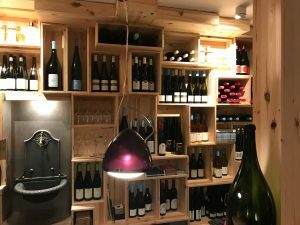 Wein-Kiste in Johannisberg startet as an online shop but now also offers a place to come to for tasting, browsing and buying wine. 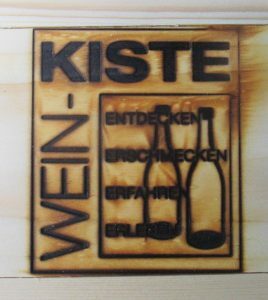 Weine-Kiste (meaning wine box) offers wines from 36 wine makers. If you like to try as many wines as possible you might want to subscribe to their packages where you receive specially selected collections of wines. It’s an interesting concept. And here’s a guide to a variety of wine makers and their wine tasting shops (vinothek) – ready for download.